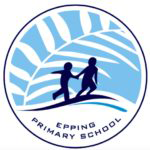 Epping Primary School chose LiteracyPlanet because it needs an interactive literacy program that can cater to a wide variety of learning needs and benefit a wide range of students. The school provides differentiation for gifted students all the way through to differentiation for struggling readers, and has to meet the learning needs of a diverse student group: English as a second language, gifted, advanced, intellectual disability, learning disorder, and disengaged. With a variety of expertise in technology amongst the teaching staff the school also needs a program that shows how to teach a class with different levels of ability, and is easy to implement and manage, so it can be maximised in every classroom. The school takes advantage of the program's comprehensiveness and versatility to get the most out of it for every student and every year level. The teachers feel LiteracyPlanet has helped to improve literacy learning outcomes at the school, and this is because it is so effective at rewarding students of all abilities for their efforts, and keeping students engaged. We have seen a significant increase in our students’ outcomes, and also seen motivation, enthusiasm and engagement improve. All of our students have found the program to be amazing. LiteracyPlanet has exceeded our expectations and assisted in creating excellent outcomes. It is extremely easy to use, change activities, and monitor student use and progress. It also helps with reports by making it easy to see the components of the curriculum that are being covered, and how students are doing. When our teacher sets activities on LiteracyPlanet, we all get really excited because we know it is going to be a lot of fun. It is learning without feeling like we are learning.